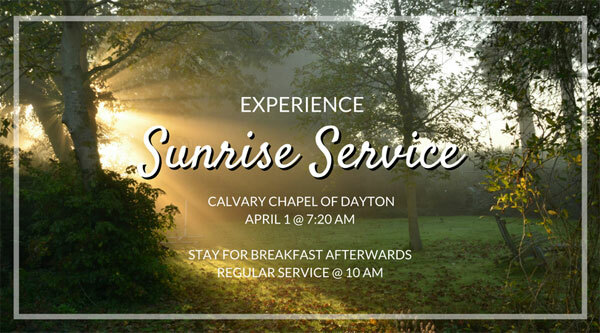 Experience Sunrise Service at Calvary Chapel of Dayton. Weather permitting, we will celebrate Resurrection Sunday at the picnic shelter at 7:20 am on Sunday, April 1. If weather is too cold, we will hold the Sunrise Service in our sanctuary. Plan on staying for a free breakfast afterwards. We will hold a second service at 10 am.